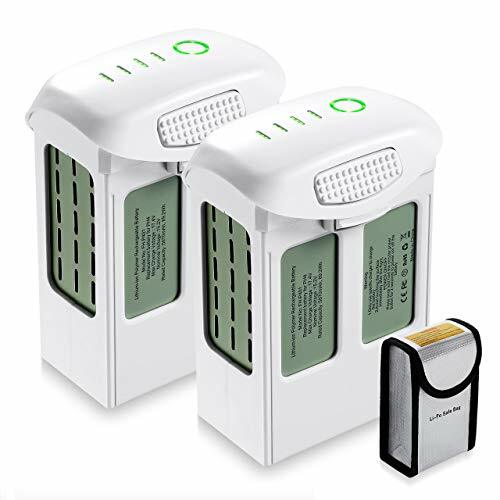 Powerextra 11.4V 3830mAh battery for DJI Mavic Pro is a cheaper alternative battery perfectly compatible with DJI Mavic Pro, Mavic Pro Platinum, Mavic Pro Alpine White and Mavic Pro Charger. 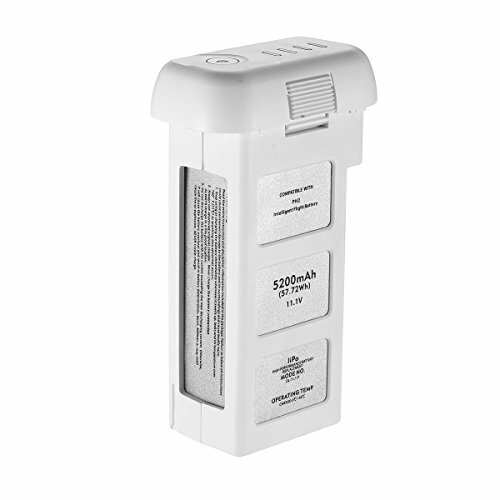 Powerextra replacement battery is a good choice when you looking for another battery as a backup to achieving your flying dream. With 3830mAh of power, this replacement battery will give you about 15-25 minutes on a single charge, depends on a number of external factors. The Powerextra Mavic Pro Replacement battery was well packaged and worked like it was supposed to. The battery is very well built and weight is nearly the original. It has a bright LEDs indicator on the front to show charging and battery levels. Very easy to use, just press once and holder the circular power button for 2 seconds to power on/off. No Problem on upgraded for latest Firmware of DJI Mavic Pro drones and lasts just as long as the original. It also comes with a nice carrying case as well for storage. Powerextra Mavic Pro battery works fine on DJI Mavic Pro, Mavic Pro Platinum, Mavic Pro Alpine White drones. However, the color is only same as the Mavic Pro. If you care about the color, it’s not for you. 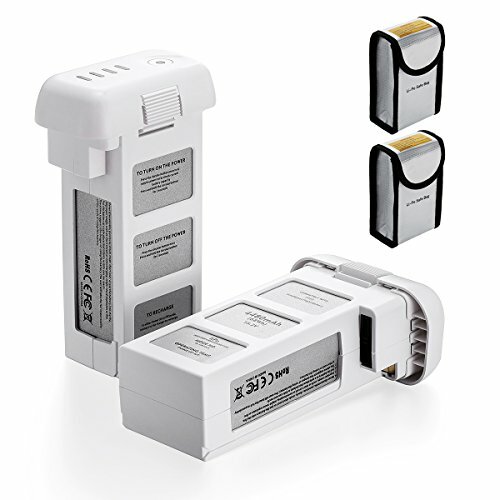 Great cheaper alternative battery perfectly compatible with DJI Mavic Pro, Mavic Pro Platinum, Mavic Pro Alpine White and Mavic Pro Charger. Performance: With upgraded capacity 5870mAh, Our dji phantom 4 battery provides maximum 30 minutes' flying time on a single charge. The actual time may vary influenced by other factors. 100% Brand New | Li-ion | 15.2 Volts | 5870 mAh | 89.22 Wh. Compatibility: Perfectly compatible with DJI Phantom 4 Pro V2.0, DJI Phantom 4, Phantom 4 Pro, Phantom 4 Pro Plus, Phantom 4 Advanced, Phantom 4 Pro/Pro+ Obsidian Edition and Original Phantom 4 battery charger including 2-Pack battery safe bags. IMPORTANT: The battery is 30% pre-charged, please make sure fully charged before the first-time flight, 1-Year Manufacturer's Warranty and 30 days return policy. NOTE: Included TWO Phantom 3 battery safe bags. Battery type: LiPo cells, voltage: 15.2V, capacity: 4480 mAh, power: 68 Wh. With built-in 4 LED indicator lights to show how much power is remaining at the touch of a button. Perfectly compatible with DJI Phantom 3 SE, Phantom 3 Advanced, Phantom 3 Professional, Phantom 3 Standard, Phantom 3 4K and Phantom 3 charger. Only Compatible with DJI Phantom 2, phantom 2 vision, phantom 2 vision+ and Phantom 2 charger. Upgraded for latest Firmware. With 5,200 mAh of power you can expect flights of 15-23 minutes on a single charge. With built-in 4 LED indicator lights to show how much power, that is remaining at the touch of a button. All Powerextra battery packs comply with RoHS and CE security testing standards.